There’s an event coming up this summer in SA called “Slide The City”. It makes use of some really long (300m+) inflatable slides for people to slide down streets in various cities. It uses water to make the slides slippy. 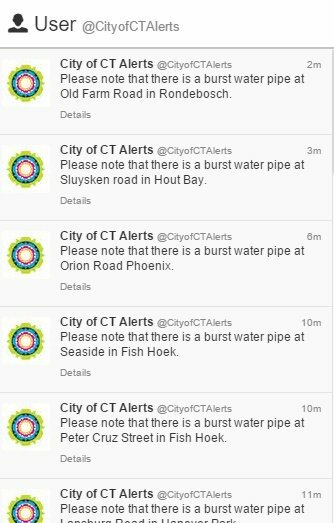 We don’t have huge amounts of water in SA right now. If you look at the facts above, then Slide The City (STC) – while still sounding like a whole lot of fun – doesn’t seem to make a lot of sense, does it? And that’s why there are not one but two online petitions calling for it to be banned. 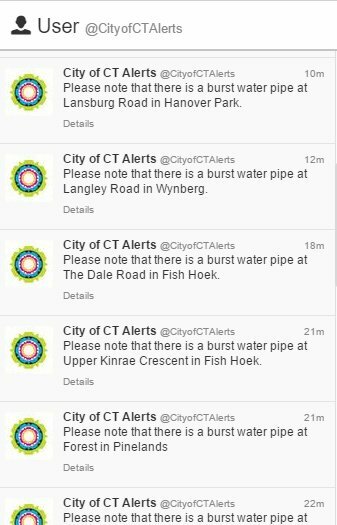 I’m not helping you out by linking to them, but I will share the fact that one of them is called: Stop the City of Cape Town From Allowing Slide the City Events During a National Water Crisis. All the facts, all in one catchy title. Perfection. “Non-potable spring water is being provided. Forty kilolitres charged at the applicable tariff will be transported to the organisers’ holding pool by tanker. Treatment of the spring water will be performed by the organisers on site. 40 kilolitres isn’t actaully a lot of water, either. It’s about what one average household uses in a month. I’m not saying that we should waste 40 kilolitres just for the sake of it, but I can’t help but think that there might be better ways of saving water than going lumbering after a single event in Cape Town. In Cape Town, Johannesburg, Nelspruit, Knysna, Pretoria and Port Elizabeth, the water is put through the filtration system and then put into tankers and delivered to the municipality to be used where they need it most. Could it… could it really be that someone hasn’t actually done any homework before launching an online petition? “#SlideTheCity must be a bad idea, because water” say the knee-jerk, bandwagon-jumping, fact-ignoring, petition-signing slacktivist brigade. Just a sample of their twitter feed this morning. 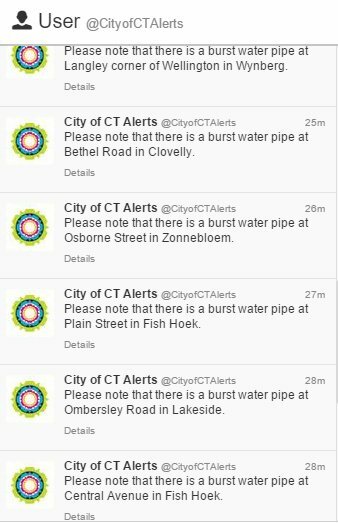 And I’d happily wager that any of these burst water pipes wasted more water than any Slide The City event. Not that I am suggesting the just because water is being wasted somewhere, that makes it ok to waste more. Not at all. In fact, the fact that so much water is being lost to burst pipes and naughty people should encourage each of us to use water more sparingly. But going after Slide The City, who are providing entertainment for literally thousands of people at a very, very limited cost to the environment? I’m sorry, but that just smacks of an ill-informed, cheap points scoring exercise. Disclaimer: 6000 miles… has no affiliation with Slide The City. I just wish people would actually think before they sign online petitions. UPDATE: Slide The City duly cancelled. Author 6000Posted on November 10, 2015 November 13, 2015 Categories annoying people, in the news, learning curve, this is south africaTags #slidethecity, #watercrisis, Derna Stemmet, online petitions12 Comments on Ban #SlideTheCity? No. Ugh. I’m not getting back into the poisoned chalice that is the Ched Evans saga, but when I read this opinion piece in the Spectator, I couldn’t help but share. But this sharing (and in fact the column itself) is less about the specifics of the Ched Evans case and more about the disproportionate amount of power wielded by people “signing” online petitions. and I’m inclined to agree. It’s so easy to type your name into a box on a webpage, with no recriminations and no responsibility. Feeling morally superior? Time to sign an online petition. You don’t even need to be informed. Just read what your friend thinks on Facebook, click a link and your voice is added to the other 0.04% of the UK population who have done the same. Would these people be as vociferous if they actually had to do something in order to make their point? Of course not. Traditionally, such a tiny minority would (rightfully) hold absolutely no sway on the status quo. If a political party polled 30,000 votes in a general election, it wouldn’t even come close to getting one of the 650 seats available in the UK Parliament. And yet, an online petition with just 150,000 “signatures” was enough to make Sheffield United reconsider their options. And one fifth that number now seem to be telling Oldham Athletic what they can and can’t do and who they should and shouldn’t employ. The fact that under his parole conditions, Evans is not allowed to seek employment overseas means that in pandering to the tiny numbers of people in these online lynch mobs, together with the effect they have on the media, the club sponsors and the “famous” fans, clubs are essentially prevented from allowing Evans from earning any kind of living. That shouldn’t be allowed to happen. …the notion that the online mob can exercise a veto over the employment prospects of someone who has served his sentence and is entitled as a principle of justice to re-enter society – now that’s morally repulsive. I’m not saying that just because only a few people have any given opinion, that they shouldn’t be allowed to state their case. That’s their right and they are entitled to their opinion. The problem comes when their minority point of view is immediately assumed to be the correct and rightful standpoint simply because of their loud and threatening behaviour. The UK is nearing a tipping point regarding the reaction to online activities such as petitions and alleged “offensive” behaviour. We’re giving too much credibility to the views of online slacktivists. In addition, the social media explosion of recent years has left the lawmakers flat-footed and now it seems that they’re coming up with unnecessarily draconian measures just to be seen to be doing something, lest the lynch mob turn on them for their perceived inactivity. It’ll all end in tears. Not the Ched Evans thing – that’s already enough of a mess. No, the weight we are giving to tiny online petitions and their lynch mob tendencies. We’re on a very slippery slope and it’s getting steeper by the day. The whole Ched Evans saga has shown the mob is far, far, more dangerous to free speech and discussion than the state. And while we’re making examples of alleged role models, what future now for WBA and England striker Saido Berahino as he is charged with drink driving? Amazingly, it seems that environment-hating columnist Ivo Vegter has found another way to make himself even more unpopular with the local bunnyhugging population. Not content with regularly using rational argument and solid proven facts in his support of fracking, he’s now only gone and said that we should all be killing lions like Melissa Bachman. Or something. In truth of course, Ivo’s piece is actually about the lack of considered thought by the general public and some of our local journalists, who – amazingly (I know, I was shocked as well) – also spouted incorrect facts in pursuit of getting their desperate agenda across. Emotive outrage and smug judgmentalism are no substitute for rational thought and pragmatic policy. Dolphin, panda, puppy – must protect. It’s a trendy, ill-thought through, kneejerk, bandwagon-jumping response. And following the whole Bachman “controversy”, it seems that we can add lions to that list as well (but not fruit flies, obviously). Because, as Ivo points out and as anyone else could also know if they’d bothered to do any research whatsoever, what Bachman did was perfectly legal and is quietly done by loads of other people visiting South Africa every single year, swelling our economy to the tune of R6.2 billion. Sure, you might find it distasteful. Sure, it might not be for you (it’s not for me either, incidentally), but actually, that doesn’t make it unacceptable, illegal or mean that it must be banned. Neither does it mean that Bachman should be barred from entering South Africa again. Do you have any idea how utterly ridiculous this sort of petition sounds when you actually look at the facts? You entered a country completely legally, supported a well-established, thriving and important local industry and did absolutely nothing illegal and yet we want you to be banned from ever going back. And then it should be noted that the vast majority of the signatories aren’t even from South Africa. Since when should any foreigner have any say in who we let across our borders? Because you all moaned and online-petitioned when China allegedly flexed its political muscle over the Dalai Lama, now didn’t you? And yet you’re more than happy for some easily-led Aussie schoolkid or a bored housefrau from Bremen to decide on a rather selective future immigration policy for the Republic of South Africa? Have these people even read what they’re signing? Her latest Facebook post features her with a lion she has just executed and murdered in our country. Yes, not content with executing the lion, she also murdered it as well. And yes, I’m prepared to agree that this is a bit over the top. Still, at least she didn’t kill it as well. As tax payers [sic] we demand she no longer be granted access to this country and its natural resources. Hang on, over 100,000 of you aren’t tax payers [sic] of “this country”. And yet you think that you have a right to influence our country’s laws? Get real. The notion that hunting harms the survival of species, or the environment more generally, happens to be false, and demonstrably so. Commenting on Botswana’s recent decision to ban professional hunting in the hope that it would stop poaching, Professor Melville Saayman of the North-West University observed: “…the problem is that it is going to have a reversed effect. 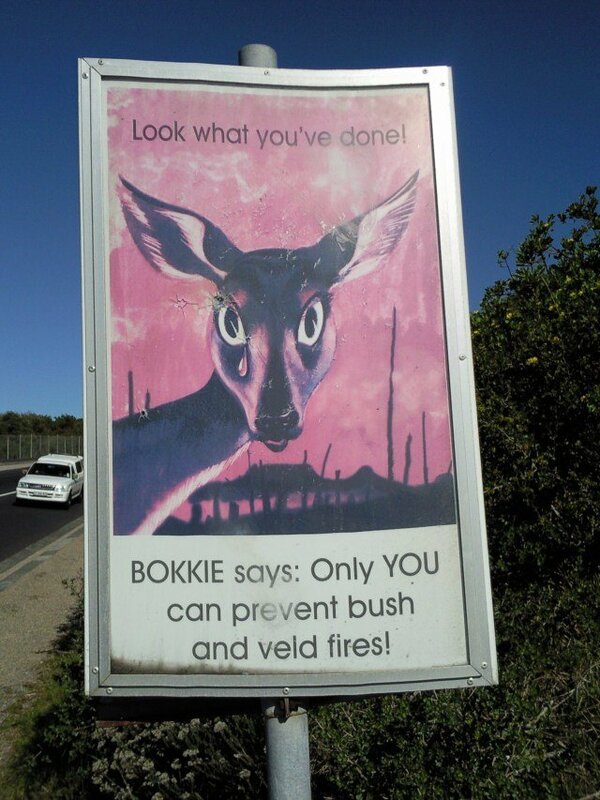 Maybe we should ban hunting and then re-run the old tearful Bokkie “LOOK WHAT YOU’VE DONE” posters for the greenies as the local ecosystems and game park industries collapse.